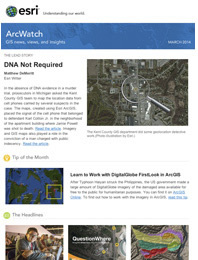 Esri partners and distributors are busily creating apps that will expand what you can do using ArcGIS Online. These three apps and many others are waiting for you in ArcGIS Marketplace! People can use the questionnaire in this this app to report graffiti, broken water pipes, and other issues in their community. 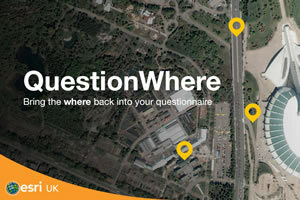 QuestionWhere Builder by Esri (UK) Ltd. Interested in adding feedback from customers or citizens into your GIS? The QuestionWhere Builder app gives you a way to create a survey or questionnaire, send it to your target users, and combine their feedback with your other ArcGIS Online content. You can use the information you gather to perform spatial analysis without having to go through all the steps of loading it into ArcGIS Online. Using this app is a handy way for people to report problems they see in their community, such as graffiti, potholes, or burst pipes. 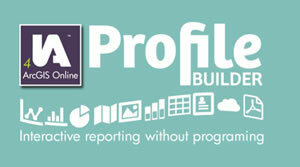 Create reports from information you have in ArcGIS Online with Profile Builder. Profile Builder makes it easy for you to create clear, informative reports from information you have in ArcGIS Online. You can share charts, tables, and maps with others via the web or turn them into PDFs. Up-to-date data such as election results, sales figures, or contagious disease outbreaks is streamed live to the reports from ArcGIS Online, which means reports always contain the latest information. This app is particularly useful for conveying geographic information to people unfamiliar with GIS. Keep track of how many maps and apps your users create using Activity Dashboard. Want to know how many web maps were created in your organization today compared to a month ago? This free Activity Dashboard app adds to the administrative tools that come with ArcGIS Online. For example, you can use the app to see how many maps, layers, files, apps, and tools were added in a defined period of time or how many of your users logged in to ArcGIS Online so that you can get a better understanding of your credit consumption. 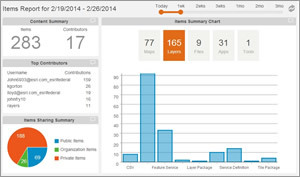 Esri is working to integrate activity reports from this app into the core ArcGIS system. You can use the app’s built-in feedback mechanism to let Esri know what you would like to see in your ArcGIS Online account administration reports.